A selection of images and prints created with the use of advanced microscopy as part of exhibitions and previously sold as limited edition works. Captured using equipment at the University of Queensland's, Queensland Brain Institute. Series of 15, limited edition print from Beneath the Surface. Pieces of Eight Gallery, 2017. Captured using equipment at the University of Queensland's, Queensland Brain Institute. Series of 50, limited edition print from Beneath the Surface. 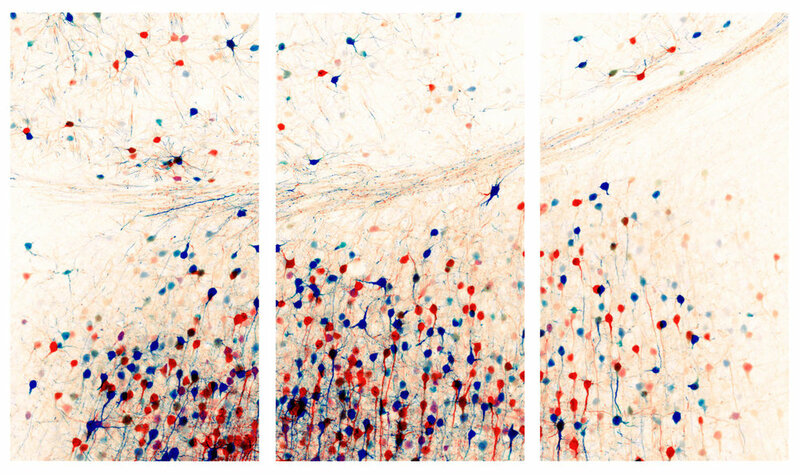 Fluorescently labeled neurons within the mouse brain. Captured using equipment at the University of Queensland's, Queensland Brain Institute. Series of 3, limited edition print. From In This Unfolding. Project Gallery, Queensland College of Art, 2015. Ellipsoid body and drosophila central nervous system. Captured using equipment at the University of Queensland's, Queensland Brain Institute. Limited edition print from In This Unfolding. Images of amyloid plaques associated with Alzheimer's disease being surrounded by immune cells within the brain. Captured using equipment at the University of Queensland's, Queensland Brain Institute. Limited edition prints from In This Unfolding. 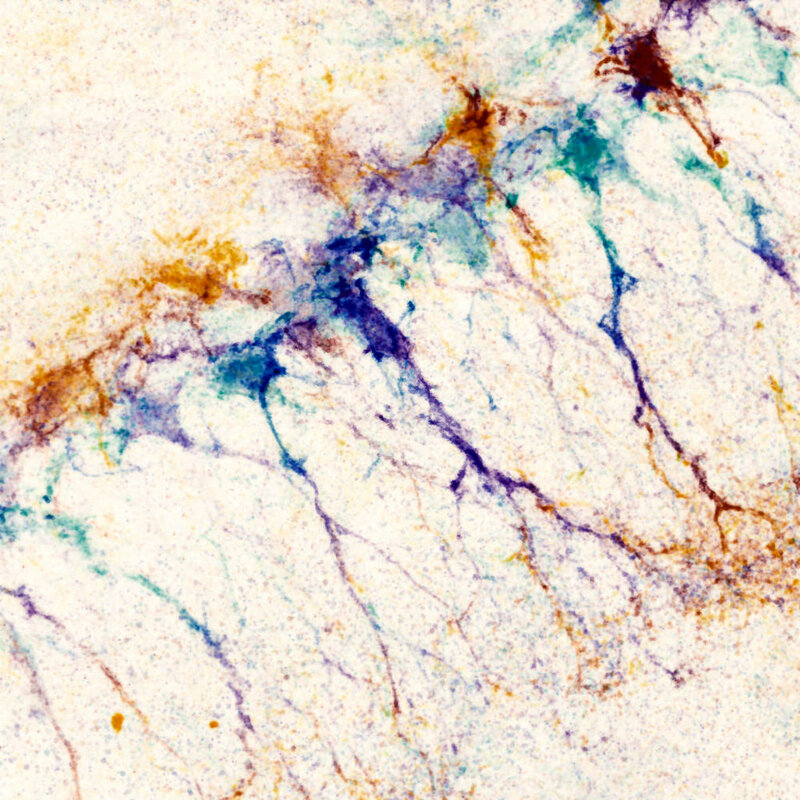 Fluorescently labelled neurons in the brain of a mouse. Captured using equipment at the University of Queensland's, QBI, 2015. Captured using equipment at the University of Queensland's, Queensland Brain Institute, 2015.